They worked and are still working great..... to stop the squeak you get with poly bushings, I painted and coated the contact surfaces with several coats of graphite paint and still no squeaks. The handling is back to as good as new and has not degraded in those two years noticeably. 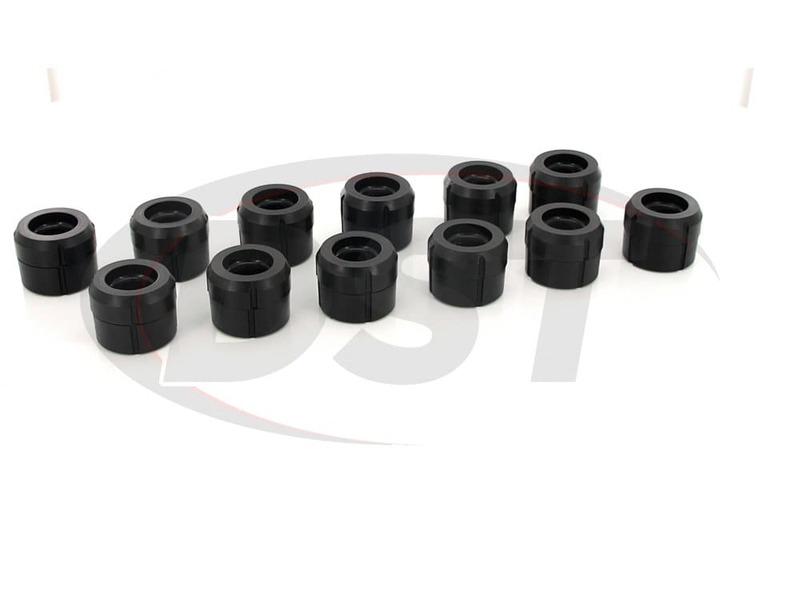 starstarstarstarstar" Great upgrade to old worn out bushings "
Great part upgrade to old worn out mushy stock body bushings. 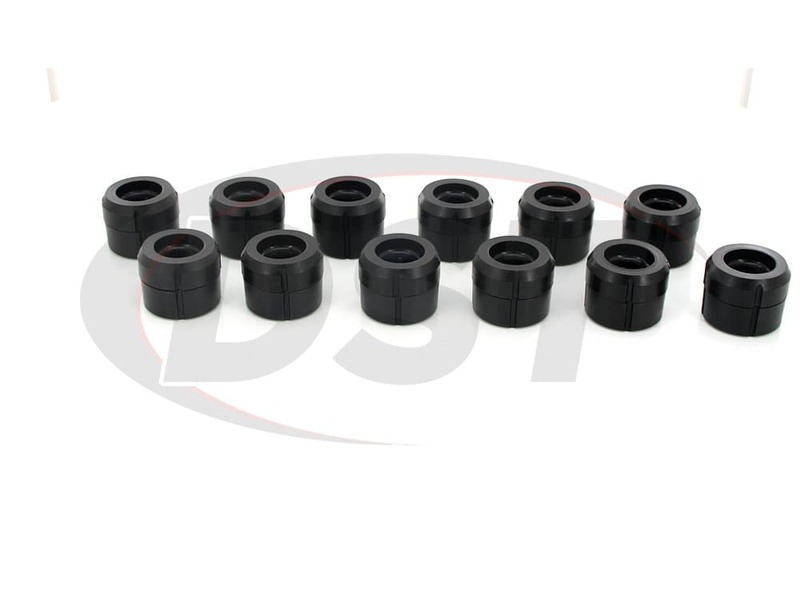 Does part number 7117 come with 10 bushings or 12? 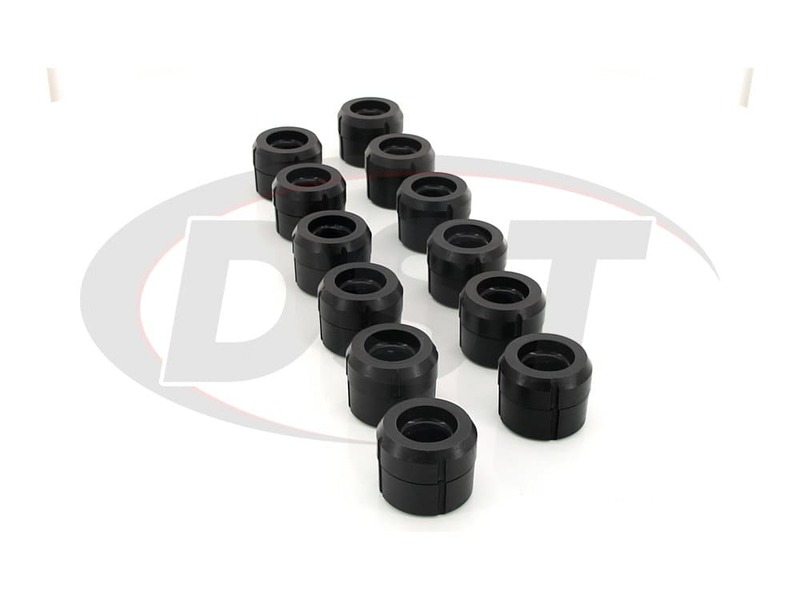 Part number 7117 comes with 12 bushings. 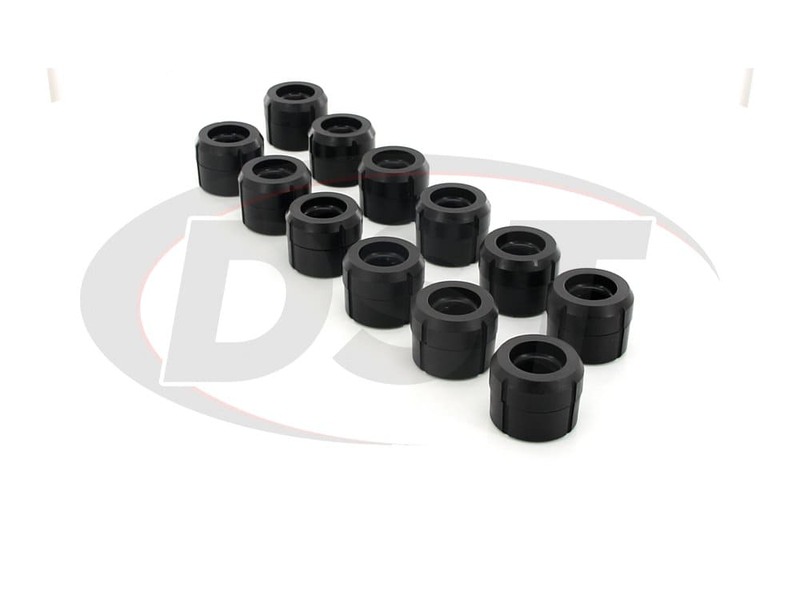 Do you offer a body mount kit for a 4 door S10 blazer? 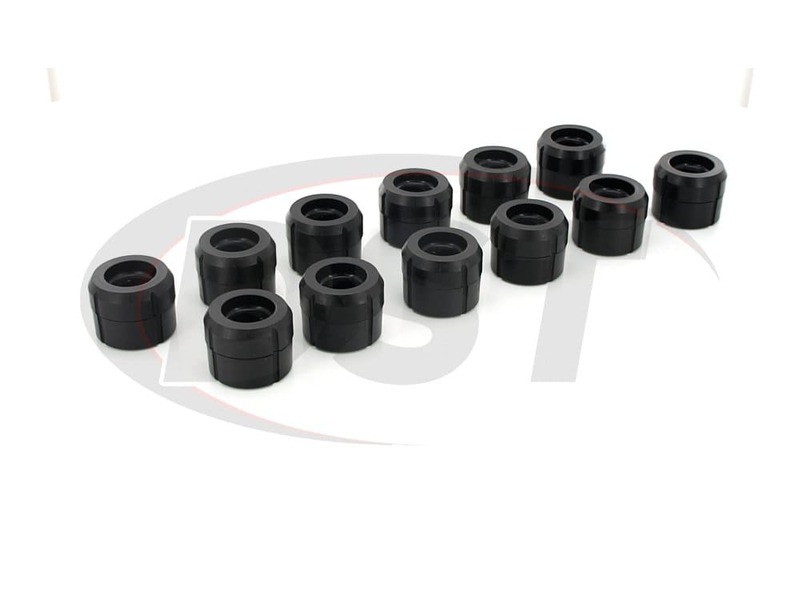 Energy and Prothane both offer body mount bushing kits for your blazer. 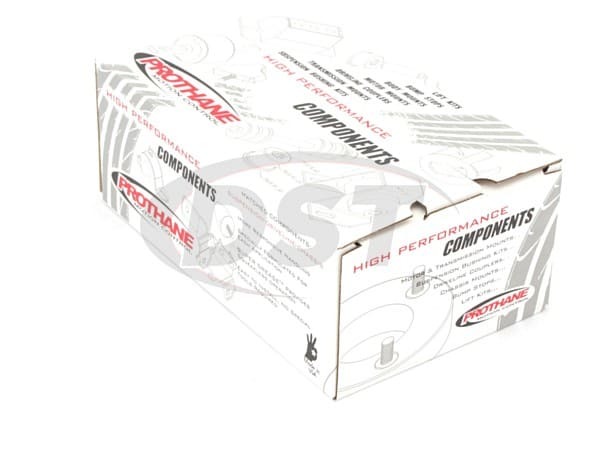 Energy 3.4132 Prothane: 7117 There is also hardware kits available as well.